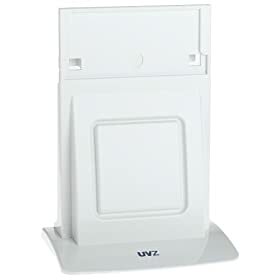 Make the UVZ Health Systems ESA302 Wall Mount Family Toothbrush Sanitizer into a standing unit with the ESA302VS Vanity Stand attachment. It’s very easy to assemble: Two screws attach the two-piece base to the sanitizer unit. The stand is equipped with powerful suction cups so the unit is secured to your vanity surface.